Realm Partners LLC is a privately owned hedge fund that focuses its investments in hedging markets. The company is based in New York City, New York. According to the SEC 13F filings of Realm Partners LLC for the period ended September 30, 2014, DISH Network Corp (NASDAQ:DISH), Rockwood Holdings, Inc. (NYSE:ROC), and TIM Participacoes SA (ADR) (NYSE:TSU) were its primary holdings. Realm Partners LLC invested the highest amount of funds on DISH Network Corp (NASDAQ:DISH), which accounted for a total of $21.87 million. 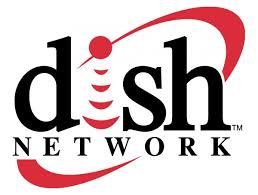 DISH Network Corp (NASDAQ:DISH) is a U.S. based provider of direct broadcast satellite subscription based television, audio, and interactive television services to both commercial and residential entities. Eagle Capital Management and York Capital Management were the biggest holders of the company with 8.20 million and 4.93 million shares respectively. (You can see complete list on hedge funds which hold positions on DISH Network Corp (NASDAQ:DISH) at the end of the third quarter). Rockwood Holdings, Inc. (NYSE:ROC) was the second largest investment of the firm with investment valued at $20.3 million. Rockwood Holdings, Inc. (NYSE:ROC) is a global manufacturer of inorganic chemicals and solutions. The company also produces and markets engineered materials. Its products include lithium compounds, color pigments, prostheses systems, and others. In November 2014, the company’s shareholders agreed to a $6.2 billion acquisition of the company by Albermarle. Rockwood Holdings, Inc. (NYSE:ROC) reported strong third quarter 2014 results, with $0.63 in earnings per share from continuing operations. TIM Participacoes SA (ADR) (NYSE:TSU) emerged as the third largest investment of Realm Partners LLC, with $20.28 million. TIM Participacoes SA (ADR) (NYSE:TSU) is a holding company that has its operation in the telecommunications industry. The company carries out its activities through its fully owned subsidiaries such as TIM Celular SA and INtelig Telecommunications. TIM Participacoes SA (ADR) (NYSE:TSU) was recently upgraded by Zacks from a “neutral” to an “outperform.” The firm reiterated its $28.20 price target on the stock.